The LM625 Turbo features a high flow gear pump that delivers 80 lt and 230 bars pressure. The reliable hydraulic system always provides the right flow and power - even in applications that require a constant flow. Movements are smooth and very quick, resulting in fast working cycles. A continuous oil flow device controlled from the operator's seat is available for working with implements such as concrete mixer buckets. The hydrostatic transmission is very easy to use. 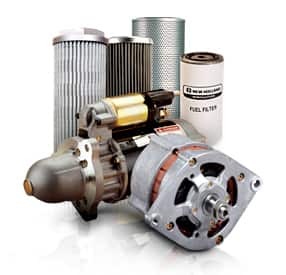 The hydrostatic pump and motor both automatically change displacement according to the torque demand. There is no need to flip a switch to adapt the pulling capacity to the different conditions. The inching pedal allows you to modulate the hydraulic flow, resulting in even smother operation. This feature is particularly valuable when slow movements are necessary to lower heavy loads at maximum reach. The system works like a standard clutch, but has the advantages of a hydrostatic transmission. The front axle can be equipped with limited slip differential, (45% torque transfer), for maximum traction. The cab of the compact LM625 Turbo offers the same high levels of comfort of the biggest models. The standard, adjustable, tilting steering column allows a full range of operator adjustments to achieve the best driving position for every individual. The joystick is easy to use and guarantees high precision in material handling applications and fast response in digging operations. The joystick can also control the optional attachment quick coupler and the electo-actuated spool valve on top of the boom. The "Glide ride" system, which eliminates the rebound of the loader when travelling, can be installed for maximum comfort and safety. The LM625 Turbo's comfort is further enhanced by the lowest in-cab noise levels in the telehandler category. The spacious ROPS-FOPS cab offers the best visibility available on the market. 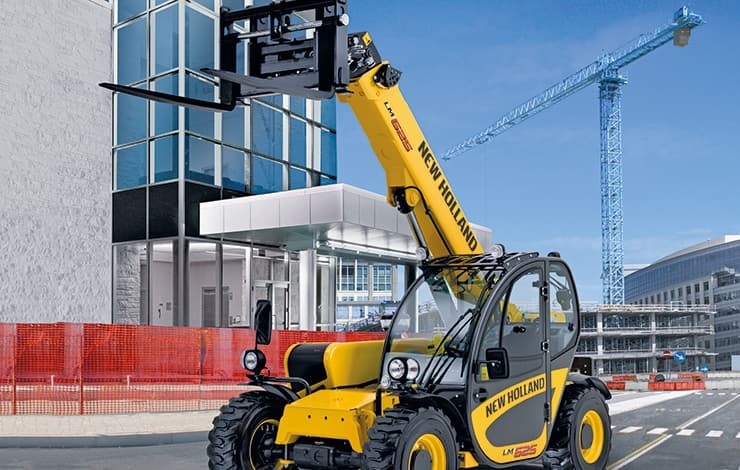 Its rounded front profile and large glass area gives to the operator total control of the arm in every position, as well as of right, left and rear side when maneuvering in restricted working spaces. The most important information for safe operation, such as the LMI (Load Movement Indicator) system, are located on the easy readable dashboard. The cab roof is protected by a strong grid that can be extended to the front cab window. The LM625 Turbo features 4 wheel steering with 3 different positions which may be easily selected by a lever that is protected against accidental inputs and ergonomically positioned inside the cab just behind the joystick. The operator can select the most suitable steering configuration according to the type of job at hand. Crab steering: for easy clean-up alongside walls or buildings without any complicated manoeuvres.